The shipping and handling is FREE Worldwide and the delivery time is around 7-18 days, depending on the country (7-9 days to US, Canada, Japan, Australia, and Asian countries; 12-18 days to European and South American countries) with a USPS.com/Canadapost.com/Hongkongpost.com tracking number. IT COMES WITH A CLEAR EXTERNAL VISOR ONLY. 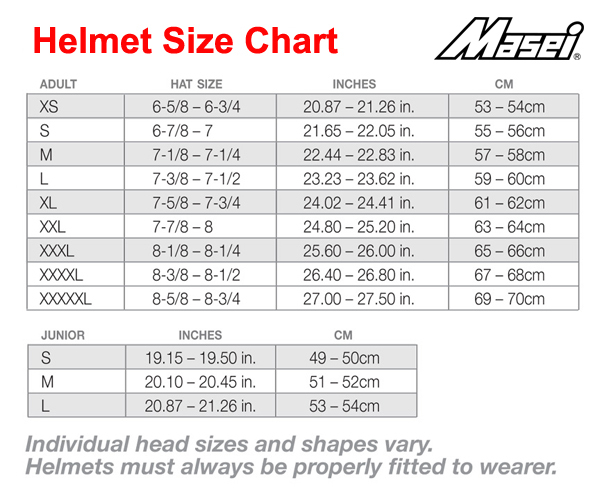 IF YOU NEED TO GET COLOR VISOR (MIRROR/RAINBOW/DARKSMOKE/ANTI-FOG), PLEASE SEARCH FOR MASEI VISORS SECTION ON THIS SITE; OR SEARCH FOR THEM ONLINE, OR ADD US$45 TO THE ENDING TOTAL OR EMAIL US TO SALES@MASEIHELMETS.COM.